Too busy go-getting to get your full eight hours of sleep? (Let’s face it, who isn’t…) This game-changing overnight peel makes your sleep go further, encouraging cell renewal and reducing imperfections while you slumber, so you can wake up looking like you’ve had a professional facial. 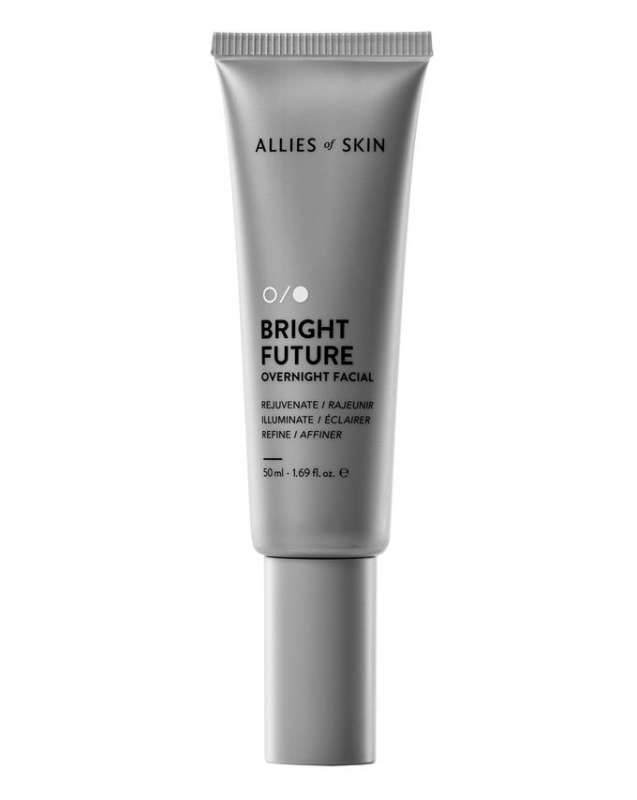 Bright Future Overnight Facial by Allies of Skin actually does what it says on the tin – let it work its magic while you catch some precious Zzzzs, and you’ll wake up with an enviable, well-rested glow (even if you’ve been burning the midnight oil). Boasting a potent blend of AHAs (alpha-hydroxy acids, which gently dissolve the top layers of dead skin cells), anti-ageing retinol and normalising probiotics, the formula encourages regeneration, refines skin’s texture and minimises inflammation overnight to reduce imperfections and reveal brighter, luminous skin come the morning. Within 2-3 nights, it helps tired skin to attain an optimal level of exfoliation and hydration – pretty impressive considering you’ve only been sleeping. You should use this treatment on its own. Do not layer with any serums or moisturisers (this ensures that nothing stands in the way of the acids working). Always use SPF the morning after use.